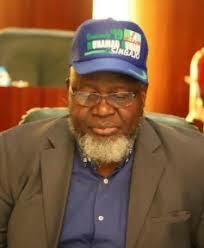 The Computer Guild of Nigeria (CGN) has berated the Minister of Communication, Barr. Adebayo Shittu over the distribution of campaign cap during the country’s NEC meeting where they were to discuss crucial national issues, reports ITRealms. National President of the Guild, Mr. Wole Adedoyin expressed this displeasure during the guild’s January meeting in Lagos on Tuesday, describing the Minister’s action and performance as disgrace to the entire communication industry in Nigeria. Mr. Adedoyin who is also the Coordinator of Information Technology Writers Association of Nigeria (ITWAN) described Shittu’s behavior as unethical and unpatriotic. “Barrister Shittu should have his head examined. His unruly behavior during the NEC meeting shows how he handles the ministry”. “We have said it many times that Barr. Shittu is not competent and efficient to handle the ministry," he said. Insisting that the Minister should be given another portfolio. Ministry of Communication is a wrong place for him to be. We are begging President Mohammadu Buhari to please put him to where he belongs before the worst occur," Adedoyin submitted. The General Manager of the MainOne Data Center subsidiary, MDXI, Mr. Gbenga Adegbiji has said that they are achieving almost 100 per cent power uptime availability, with a surmountable over 90 per cent of that power coming directly from the national grid, reports ITRealms. According to him, power availability in Nigeria may be the bane for other data centers and enterprises, but not for MDXI, because of the kind of facilities they have put in place. Reacting to a recent media report that was quoted to another data center operator who complained that power is a key problem across Africa and Nigeria’s power issues are on a larger scale and more constant than experienced globally, Adegbiji debunked the myth that power hungry industries such as data centers cannot successfully operate in Nigeria, claiming MDXI has enjoyed over 90 per cent power uptime since 2015 and is poised to achieve 95 per cent availability in 2018, based on a growing partnership with a local power distribution company. During an interview at the data center recently, Adegbiji stressed the MDXI facility was purpose-built to mitigate all challenges that global businesses may have in a Nigerian data center. He mentioned that before constructing the data center, the company realized 24x7 power supply was a critical challenge for businesses requiring high availability colocation infrastructure within Nigeria and invested in a direct private connection to the National grid through newly privatized Eko Electricity Distribution Plc. “We recognized the crippling impact of downtimes, the peculiarities of the Nigerian power environment as an albatross that had forced many companies to relocate outside Nigeria and ensured MDXI was established with the most robust electricity power and back-up arrangements, in line with the Telecommunications Industry Association (TIA) ANSI/TIA-942, the leading Telecommunications Infrastructure Standard for Data Centers. Though we made provision for the full complement of generators and diesel tanks with capacity of over 100,000 liters to secure the data center’s operations and guarantee 99.995% availability, we also partnered with Eko Disco and co-invested in a dedicated 33KV feeder and line connection to the National Grid through the Ajah sub-station. Connecting directly to the grid provides us access to multiple power generating plants and guarantees backup in the event that one power plant goes down. This was a capital investment of hundreds of millions in substation equipment and dedicated power lines which bypass all ‘last-mile’ challenges encountered in electricity distribution. This has guaranteed an increase in power availability at the data center from 50% average commercial power availability to between 95% and 98%” Adegbiji said. Aside the steady state of operation and the attendant reliability of equipment and systems that the public power provides, MDXI has been able to guarantee a significant cost savings which is passed on to its numerous customers which include Banks, Government parastatals, international financial organizations and the large over-the-top operators. The data center’s performance and service delivery has earned the company an Impact Award during the Presidential Enabling Business Environment Council (PEBEC) Impact Awards for its contribution to improving Nigeria’s rank in the “Ease of Doing Business” index through its colocation of critical server infrastructure for the Federal Government. Renowned security expert, Dr. Ona Ekhomu has advised traditional rulers to provide effective leadership in the security of their domains, as a way of fulfilling their part of the social contract with their subjects, reports ITRealms. He also said that exercising purposeful leadership in security management of their respective communities will enhance the legitimacy of the traditional rulership institution and contribute to national security. Speaking at the national conference on “Culture, Peace and National Security: The Role of Traditional Rulers” organized by the National Institute for Cultural Orientation in Ibadan on 30th January 2018, Ekhomu, providing a roadmap for security in Nigerian communities captioned “A-Z of the Role of Traditional Rulers in Security Management”, urged traditional rulers to take ownership of the security management of their domains. He told them to harness the critical resources available including law enforcement, military, youth age grades, prominent citizens from the area, etc. in the security architecture of the community. “The missing link is leadership – which the traditional ruler can provide”, he added. Dr. Ekhomu, who is the President of the Association of Industrial Security and Safety Operators of Nigeria (AISSON) urged the rulers to embrace and support law enforcement authorities in their communities by building and donating police posts where possible. 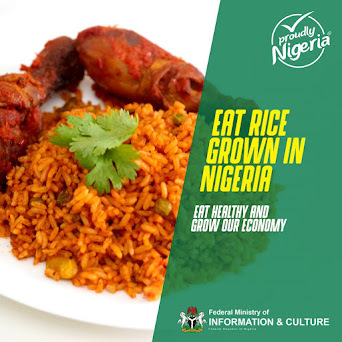 He further advised traditional rulers in rural communities to support public security personnel by providing foodstuffs, rent-free housing and farm lands for subsistence farming. “Traditional rulers should establish liaison with security agencies as a way of creating force multiplication in the community,” he said. On intelligence gathering, Ekhomu tasked rulers to engage in information gathering and escalation to the authorities for action. The expert said that if information provided to the public authorities is neglected and a security breach occurs, the ruler can then take the authorities to task, so that information supplied to the authorities in future will be acted upon. “Traditional rulers must use their influential and privileged positions to forge a symbiotic relationship between the security agencies and his subjects”, he added. He urged the royal fathers to undergo training in security awareness so they can pass on such information to their subjects – using the town crier where necessary. On the tactical level, Ekhomu urged rulers to conduct demographic mapping in order to keep a record of ex-service personnel in their domains. He urged the formation of Threat Assessment Teams (TAT) “that may enable your community analyze imminent threats and how to respond to them”. He advised royal fathers to maintain a record of security incidents in their communities to enable them conduct probability analysis of the occurrence of loss events, and produce reports for the political elites. Ekhomu urged rulers to name and shame families of confirmed armed robbers, kidnappers, cultists. He praised Obosi town in Anambra State where the traditional ruler determined that violent criminals who are killed will not be given proper burial. 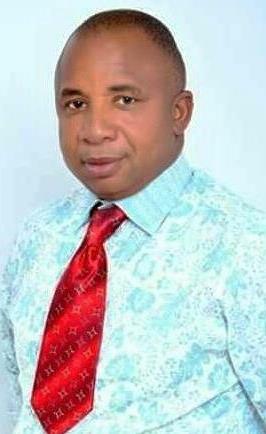 The Awba-Ofemili Development Union (ADU) in Awka North Local Government Area of Anambra State, has elected a new set of executive with Hon. Dr. Ikechukwu Offorkansi emerged the President-General (PG), reports ITRealms. Confirming this, His Royal Highness, the Ofemili of Awba-Ofemili, Igwe Ernest Ezekwesili Maduagwuna, commended the peaceful conduct of the exercise which held at the Umuosite square in the town and witnessed by relevant government delegation with sufficient sensitisation. Igwe Maduagwuna also urged the new PG and his executive to be bridge builders by ensuring that peace and unity reign during their tenure. ITRealms gathered that the new executive members of Awba-Ofemili Development Union (ADU) equally elected to work with Dr. Offorkansi comprised of Mr Fidelis Mbene as Vice President, Mr. Okechukwu Okoye as Secretary- General and Thomas Okafor became the Assistant Secretary. Others were Mr. Nathaniel Nwibe who emerged Treasurer; Pastor Alphonsus Maduabuchi, the Financial Secretary; Fidelis Mbonu - Public Relations Officer (PRO) and Polycarp Ndukaife elected as Auditor. In his acceptance speech, Dr. Offorkansi on behalf of his team pledged to make peaceful co-existence and development the bedrock of his administration. He also enjoined every indigene of Awba-Ofemili especially ADU branches across Nigeria and abroad to join hands with the executive to return the town to the path of greatness and bring about the required serenity to spur development. Offorkansi assured he will work with Governor Willie Obiano and Igwe Maduagwuna to achieve the goals ADU has set moving the town forward and on the path of development. The Rotary Club International, District 9110 has finalized plans to honour the Vice President, Federal Republic of Nigeria, Prof. Yemi Osibanjo, and Adebutu Kessington among others as part of activities marking the 2018 World Peace Day, reports ITRealms. This was confirmed to ITRealms by the duo of Committee Chairman and District Governor, Engr. Ade Oyenekan and Dr. Adewale Ogunbadejo respectively, explained that District 9110 comprised of all Rotary Clubs in Lagos and Ogun States. ITRealms also gathered that the event slated for Friday, February 23, 2018 would hold at the prestigious Metropolitan Club, Victoria Island, Lagos, they stressed that the annual World Peace Day, also popularly known as Rotary Day of Rotary is to commemorate the founding of the global humanitarian Club, Rotary International, birthed in 1905. The occasion, they said, offers the Club members the opportunity to reflect upon past achievements, and focus on programme of peace, understanding and goodwill in the community throughout the World is also a platform through which the Club also identifies with the United Nations as the global body also commemorates the Annual World Peace Day. Over the years, Rotary International, District 9110 Nigeria has carried out various service projects in a number of communities, aimed at providing assistance in different ways to needy members of the society. Notably, District 9110 has executed projects in the areas of health, education, poverty alleviation, community and youth development etc. As its contribution to promoting world peace and understanding, the District has sponsored over 40 candidates who had participated in the worldwide selection process of world peace scholars for the two-year studies in peace and conflict resolution activities. Activities scheduled for this year’s event include a seminar with the theme: Rotary: Building Peace across Borders, and the presentation of Peace Ambassador Awards to a number of eminent personalities and community leaders in the country, including the Vice President, Federal Republic of Nigeria, Professor Yemi Osinbajo. Rotary International is a non-governmental organization of business and professional men and women united in the ideals of service worldwide. Rotary Club is committed to providing humanitarian support and helps build Goodwill, Peace and Understanding in the World. 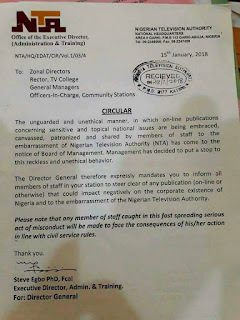 The Federal Government (FG) may have concluded plans to gag the Nigerian media especially starting with those under its direct watch, reports ITREALMS. 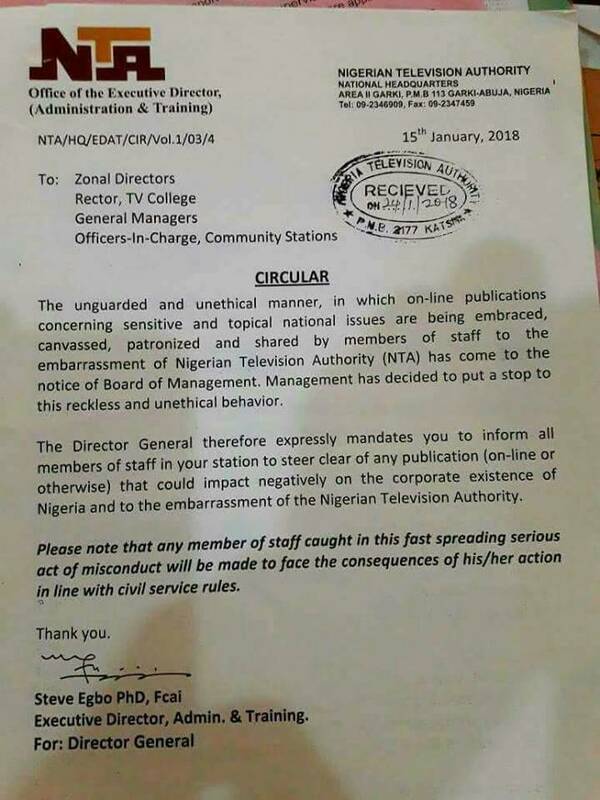 Indication to this effect follows an internal memo by the management of the Nigerian Television Authority (NTA) which vowed to deal with any of staff who makes comments “online” from now on. 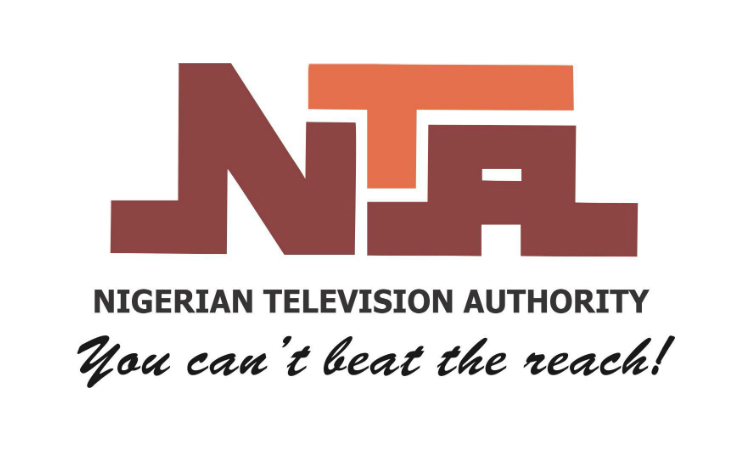 The circular issued by the Director- General of NTA, Yakubu Mohammed, dated January 15, 2018 was signed on his behalf by the Executive Director, Administration and Training, Mr. Steve Egbo. 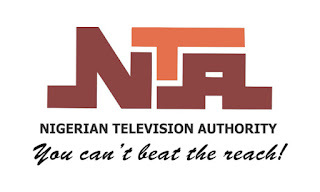 The circular with reference number: NTA/HQ/EDAT/CIR/Vol.1/03/4, sighted by ITREALMS, the DG was quoted as saying that the “online publications” referred to in the circular were comments by staff of the NTA on social media platforms, especially Facebook, Twitter and WhatsApp. The Nigeria CommunicationsWeek has opened its portal to the general public to vote for nominees of this year’s Beacon of ICT (BoICT) Awards, reports ITRealms. According to the Chief Executive Officer and Editor in-Chief, CommunicationsWeek Media Limited, and the organisers of the event, Mr. Ken Nwogbo, the board and management of the company, a certified global ICT company with over 2 million online subscribers gave their nod. He also said that the Beacon of Information and Communication Technology awards series is widely regarded as the most prestigious annual event available in the ICT industry in Nigeria. The awards ceremony rewards best practices and recognize outstanding contributions to the growth of the sector, stressing that BoICT Awardees emerge through a transparent voting process that involves business leaders and readers, with independent quality experts. 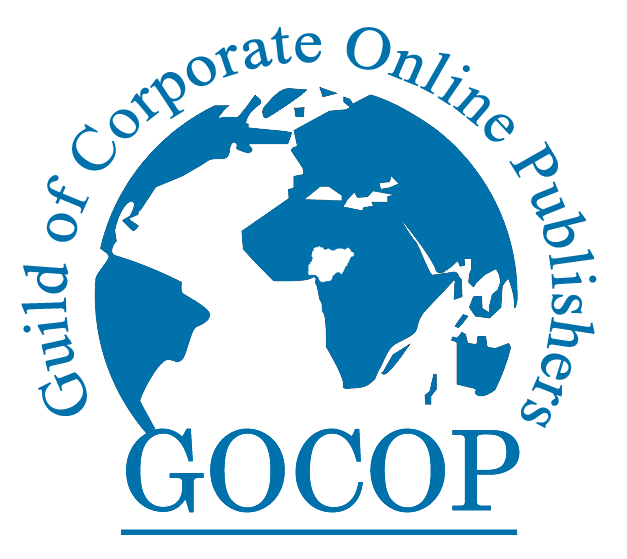 Business leaders and readers can cast their votes. Nwogbo announced theme for this year’s lecture as: “Leveraging ICT Value for Building Institutions” adding that now in its ninth year, the award is the highlight of the daylong event which starts with the distinguished lecture series. The lecture and award are slated for Saturday, April 28, 2018, at the prestigious Eko Hotels and Suites, Lagos. The Beacon of ICT Distinguished Lecture is designed to explore efforts to put Nigeria on the global Information and Communications Technologies map. The lecture series is reserved for distinguished achievers. Past Keynote lecturers include: Dr. Ernest Ndukwe, then EVC, Nigeria Communications Commission (NCC); Engr. Yomi Bolarinwa, former Director-General of National Broadcasting Commission (NBC); Dr. Jean Luc Fort, CEO at OR System France and a specialist in Counterparty Risk; and Professor Chris Nwagboso, Chairman, Knowledge Factory International, United Kingdom. Others are: Uche Orji, managing director/chief executive officer, Nigeria Sovereign Investment Authority (NSIA); Biodun Omoniyi, Managing Director/CEO, VDT Communications; Ayotunde Coker, Managing Director, Rack Centre Limited; and Peter Arogundade, Managing Director, Sidmach Technologies. Professor Dickson Ozokwelu with 40+ years of diversified chemical engineering and management experience is currently in the Office of Energy Efficiency and Renewable Energy at the U.S. Department of Energy’s Headquarters in Washington D.C., United States. Prior to his current position, Professor Dickson Ozokwelu has held senior engineering and management positions at BP North America and Eastman Kodak Chemicals. He is a leading International expert on Energy, Power, Oil and Gas. He has a rich and diverse experience cutting across academia, industry, entrepreneurship and government, where his forte is Renewable Energy. 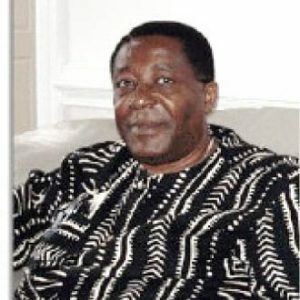 A former World Bank Consultant on Renewable Energy for Africa, Professor Dickson Ozokwelu is one of those many beneficiaries of Dr. Alex Ekwueme’s philanthropy by way of academic support through Ekwueme Memorial Trust Fund. In this very revealing interview, Professor Dickson Ozokwelu pays glowing tribute to the man who assisted him in achieving his glittering professional life. Interviewer: Professor, we are here for you to pay tribute to the departed former Nigerian Vice President, His Excellency Dr. Alex Ifeanyichukwu Ekwueme and I'd like to start it this way. 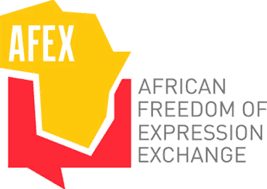 Who is Alex Ekwueme from your perspective? Professor Ozokwelu: The late former Vice President, Dr. Alex Ekwueme played diverse and noble roles in his life. Among the roles, was his great impact on my life, in addition to few other positive ones I will mention and then attempt to expatiate on one by one. First, Dr. Ekwueme was a great philanthropist. Second, Dr. Ekwueme was a great intellectual as shown by his ability to earn degrees across diverse disciplines, including Law, Architecture, Sociology, Urban & Town Planning, et cetera. As a great professional, he is one of the few Nigerians who not only had academic degrees, but also displayed his prowess throughout his practice and lifestyle. He started his Ekwueme Associates, an Architectural, Urban and Town Planning firm—which made major contributions to the development of the Nigeria. 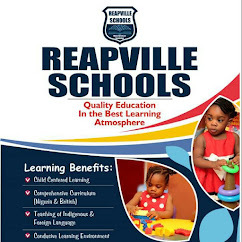 At the community level, he brought a lot of development projects to his area, including the College of Arts and Science—which is the Federal Polytechnic, Oko today. This was in addition to several other city roads and infrastructural developments in Oko community and environs. As a politician, he was a national leader and a great patriot. He was calm and very courageous. Of course, he was the Vice President of Nigeria from 1979 to 1983 during the Alhaji Shehu Shagari administration. Needless to say, he was a very loyal Vice President to Alhaji Shagari with whom he maintained a life-long friendship. Dr. Ekwueme left a lot of legacies. One of the most outstanding of those legacies is arguably the six geopolitical zonal structure which Nigeria currently uses in the delimitation of units of political space. It is on record that as both a politician and leader, Dr. Ekwueme led the battle to restore democracy to Nigeria by rallying opposition to late General Sani Abacha who had wanted to transmute into a civilian dictator. In response, Dr. Ekwueme started assembling what was then known as the Group of 11, which soon grew to G-18, G-34 and finally became what we know today as the Peoples’ Democratic Party (PDP). As a politician, Dr. Ekwueme left a lasting legacy as one politician who was not only upright but one who was incorruptible. This sparkling quality was evident throughout his entire life and throughout all the things he did in Nigeria--both in the private and public sectors. He was not corrupt. Indeed, not corrupt is a gross understatement. Dr. Ekwueme was incorruptible and I believe all Nigerians bear testimony to this fact. At a time, such as now, when we are engaged in a war against corruption, let’s not forget that there was a man who walked the political space in this country at the highest level. He had all the opportunity to amass wealth for himself and enrich his family, friends and cronies—which has since become the norm in our nation—but vehemently refused to do so. As is also common knowledge, at the time the government that he served was overthrown, in December, 1983, by the Military, led by no other person—than the current president, General Muhammadu Buhari. In the end, Dr. Ekwueme was thoroughly investigated by the Panel organized for that purpose and found totally clean of corruption. Remarkably, of all the politicians of that era investigated, Dr. Ekwueme was the only one that was found to be corruption free. Not only was he found to be free of corruption, the panel declared that he was the only one who actually came out of office poorer than he was when he went in. That is remarkable, even by international standards. Interviewer: Is there a lesson for both the federal government in particular and Nigerians in general? Professor Ozokwelu: Yes, indeed. There are several lessons there. One very important lesson here is that there are still in our midst men and women of honor and integrity who could be counted upon to serve and restore the integrity of our nation, Nigeria. In other words, there is hope for Nigeria, provided we can look inwards and identify the right kind of people and skills who can help in this regard. Secondly and perhaps more importantly, the passing of Dr. Alex Ifeanyichukwu Ekwueme offers this administration a great opportunity to castrate corruption at the highest level. To do this, I strongly recommend to the federal government to name or rename, as the case may be, the Headquarters of the Economic and Financial Crimes Commission (EFCC) after Dr. Alex Ekwueme. An “ALEX EKWUEME HOUSE,” as the headquarters of the EFCC, will be a bold statement about our commitment to the war against corruption. This will immediately send out a message that we are committed to fighting the evil of corruption. It also sends the message that we appreciate honesty and probity and are prepared to demonstrate that appreciation. Most importantly, it would be a bold historic banner for our children and future generations to behold and study. No other honor that I can readily mention would be more befitting than that for His Excellency Dr. Alex Ifeanyichukwu Ekwueme. Interviewer: You mentioned that late Dr. Ekwueme was a great philanthropist. Can you elaborate on that please, because I am not sure a lot of Nigerians are familiar with that side of him? Professor Ozokwelu: I think the best way I can talk about his type of philanthropy is to share my own first meeting experience with him. Prior to my first meeting with Dr. Ekwueme, I had received admission letters to various universities in the UK, Canada and United States for graduate work in Chemical Engineering, including Cambridge University, Imperial College of University of London, University of Manchester (UMIST), McGill University Canada, MIT and Oklahoma University. Only the last university gave me a teaching assistance position and allowed me to pay in-state fees, beginning my first day of enrollment. Financial assistance of any type in the other U.S. universities depended on my performance after completing the first semester. It was a Sunday afternoon, a day prior to my first meeting with Dr. Ekwueme, when I went out on a social outing and ran into two guys from Nanka, a neighboring town to Oko, Dr. Ekwueme’s hometown. I shared with them that I received admission and financial support to Oklahoma State University in the United States, but I lacked the money to travel to the U.S.— despite the fact that I have two federal government scholarships. The scholarship issue is another topic for discussion elsewhere. These guys told me that there is one man called Dr. Ekwueme who will readily assist somebody like me to go for higher education. I remember telling them that there is nobody in Nigeria that will do that for a stranger; but, that I will try anyway and they gave me his office address at Ikoyi, Lagos. The next day was Monday morning and I was in a long line of people waiting to see Dr. Ekwueme at his office at Ikoyi. When it was my turn, I presented my academic credentials to him and presented my request. To my surprise, he never asked me the expected questions such as “Who are you?”, “Who is your father?”, “Which is your tribe?”, or “Where is your town?”, et cetera. Before I could kneel down to beg to be allowed to go get a passport, he called one of his aids and told him when this gentleman comes back with his passport, please give him the usual two packages to go to the U.S. Embassy. And that was it! Two weeks later, I was back in the office with my passport and I was given two envelopes! I did not see Dr. Ekwueme again. One of the envelopes had a check for 2,000 Naira when one Naira exchanged for 1.5 U.S. dollars. In order to understand the value of 2,000 Naira at the time, a 4-door 504 Peugeot or British Rover sold for 4,000 Naira! This was a lot of money especially for me. After looking at Dr. Ekwueme’s letter and the letter for financial assistance from Oklahoma State University, they gave me gave me a visa. Total time spent at the embassy was about 30 minutes! When I came out of the embassy, it was very sunny and I remember bursting into tears of joy. Within a week and half, I was on the plane going to United States. The next time I saw Dr. Ekwueme was two years later, when I visited Nigeria after completing my MS and already enrolled in the PhD program in Chemical Engineering. I went in the company of one of my mentors, Chief S. N. Okeke, to greet him and he was hosting some distinguished chiefs in his house at Oko. I was humbled and happy as he introduced me as one of his boys that he was very proud of. I strived to maintain a close relationship with him through letters; and despite his busy schedule, particularly after he became Nigeria’s Vice President, he never missed replying to any of my letters. After completing my PhD in Chemical Engineering, I returned to Nigeria in 1986 and went to his house at Oko to pay back the money from Ekwueme Memorial Trust Fund. He refused to take the money and told me if I liked what he did for me, then I should go ahead and do the same for others—and you bet I have. There are many people like me that would not have accomplished their academic and professional goals without financial assistance from Dr. Ekwueme. What a philanthropist he was! I cannot conclude this tribute without saying a few words about Dr. Ekwueme’s vision for Nigeria. The time was 1998 when I heard that Dr. Ekwueme was participating in the PDP primaries. I was on second to the highest rank in British Petroleum, North America out of Chicago, United States. I simply had to volunteer to assist in raising funds and supporting him through his campaign. I was the coordinator for the Midwest in the United States, while Professor Nnaji was the coordinator for the entire North America. We like to claim that we raised the most money from the Midwest. When he visited Chicago, I went to the airport in company of two gentlemen to pick him up. As soon as he got into the car, I gave him a proposal titled “Operation Infrastructure” for his campaign manifesto, and we drove him straight to Radio Chicago to tell the world why he decided to run for presidency of Nigeria. To my amazement, it took us about an hour from the airport to the Radio Chicago premises and he finished reading the 30-page document and discussed his thoughts with me very intelligently. That is how I knew he was a very fast reader and when I asked him how he did that, he told me he took some fast reading classes to prepare for his busy schedule. I didn't expect him to read all of it, but he did read and understood it all. He then asked questions about how to implement it, and if we indeed won the election. “Operation Infrastructure” was about three companies in each zone, including one for electricity; the second for telecommunication (telephone); and the third for water in each of the six geopolitical zones—a total of 18 companies in the whole of Nigeria. All the companies would be private companies and ground breaking for all the companies would be at the same time and the same day. Details of planned implementation cannot be fully discussed here, but the idea was to give all parts of the country what they all need at the same time; and therefore, break the yoke of tribalism and sectionalism. We also agreed to establish ministry of national orientation to engage in programs that will bring Nigerians together through national financed intertribal marriages, sports and cultural displays. Dr. Ekwueme and myself believe so much in one Nigeria that we want to put Nigeria first in everything we planned to do so as to unify Nigeria, something we very much lack today! Suffice it to say that Dr. Ekwueme was the best President that Nigeria never had. He loved Nigeria very much and so do I. May his soul rest in peace. The Nigerian Communications Commission (NCC) is determined to impose the maximum possible penalties on any licensees implicated in the practice of masking of international telephone calls, reports ITRealms. Director, Public Affairs at NCC, Mr. Tony Ojobo, gave this indication, saying that any operator of a license in Nigeria, mostly the interconnect exchange and other licensees involved in the practice would either be revoked or suspended in the coming week. As said by him, Commission and senior operatives from the nation’s security services met with representatives of the said licensees at the Commission’s Abuja Offices on Wednesday last week to confront them with some of the evidence at the disposal of the Commission and to give them yet another opportunity to defend themselves. 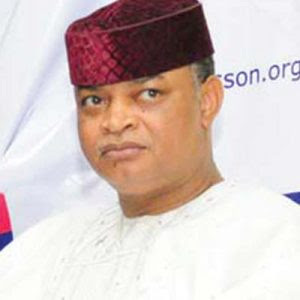 “In accordance with the provisions of the Nigerian Communications Act 2003 and its subsidiary regulations, the implicated licensees have been given till the 31st of January to show cause why the Commission should not either revoke or suspend their operating licenses in view of evidence of their involvement now at the disposal of the Commission and the security agencies,” he said. Further, he told ITRealms that the Commission has taken the pains to very strictly follow the provisions of the applicable laws so that on one can claim to be unfairly treated, given the severity of the sanctions the Commission is planning to impose. Meanwhile, customer experience data monitored by the Commission indicates that there has been a noticeable reduction in the volume of masked calls being received by subscribers. This is reflective of the very aggressive measures the Commission is taking to deal with the menace. “Nonetheless, we are not taking anything for granted. 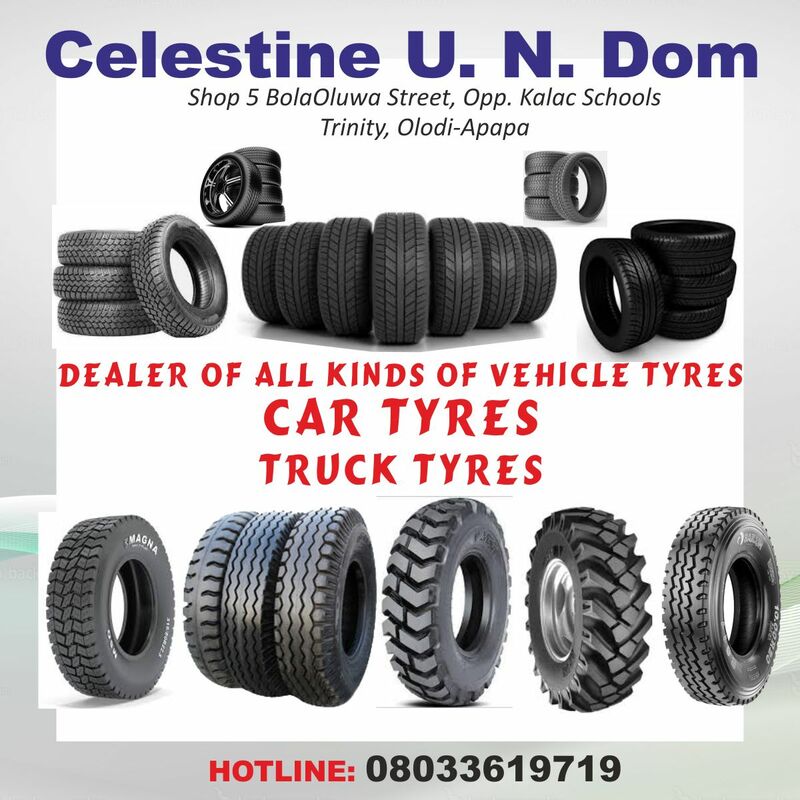 We will continue to aggressively monitor all our licensees regardless of their size or the scope of their operations. Anyone found wanting would be strictly dealt with in accordance with law” Ojobo declared. 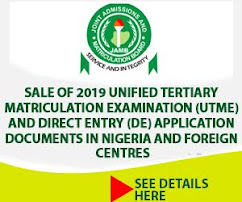 ITRealms gathered that the licensees involved include Interconnect Cleaning House Nigeria Limited, Niconnx Communication Limited, Breeze Micro Limited, Solid Interconnectivity and Exchange Telecommunications Limited, and Medallion Communications Limited.